Winchester Platinum Tip Handgun Ammo. 500 S&W Mag, 400 GR, Platinum Tip Hollow Point. Box price, 20 Rounds/Box. 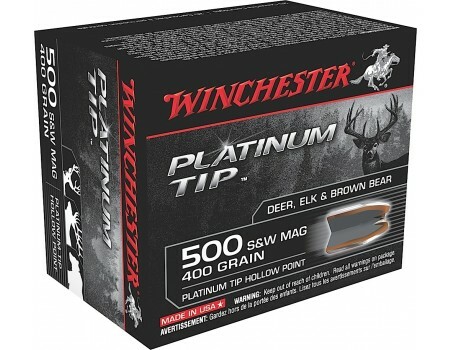 Platinum Tip hollow point ammunition combines advanced technology, proven knock-down power and massive energy deposit.